Emerging from the deserts of Central Australia is the unique sound of Apakatjah, combining intricate guitar work with ancient languages, stirring harmonies and traditional instruments. 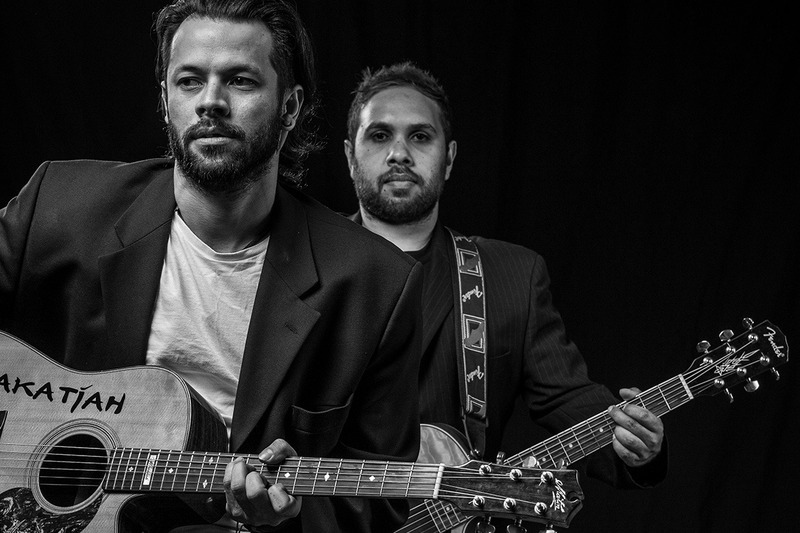 Apakatjah are Dion Forrester and Jonathan Lindsay-Tjapaltjarri Hermawan who weave together a reflection of their blended cultures and wide musical influences from Aboriginal desert reggae like Tjupi Band, old school metal like Iron Maiden and guitar master, Tommy Emmanuel. Apakatjah are thrilled to bring their desert sounds to Campbelltown, taking residence at C-A-C writing songs for the follow up to their highly acclaimed debut album In Between. This performance will also include support from Pirra (Acoustic). Carefree and sprawling – me on a couch on a Sunday arvo and also this beautiful song – Declan Byrne Triple J’s Home and Hosed 4/5 review. Beck is a Luritja woman and very proud of her heritage. The name of her band Pirra (which means ‘moon‘ in Luritja) was suggested to her by renowned Luritja man and music legend from the Warumpi band, Sammy Butcher. Pirra’s music has a heady mix of the surreal and the darkly comic in their lyrics about everyday life and love. The sound is a mix of indie rock and pop with a touch of electronica and post punk which can go down just as well in electric or acoustic modes.